Nikhil Bhatia is the Managing Director and Co-Head of the Capital Markets business at CBRE India. 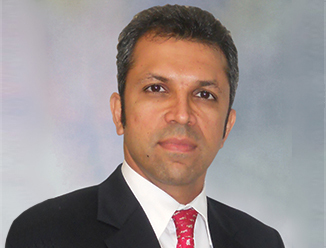 He also leads CBRE India’s Western Region. Through the Capital Markets business platform, Nikhil assists in offering a range of investment banking services wherein to advise, monitor and facilitate investors (GPs & LPs), private equity funds and lenders in managing their real estate portfolio and monetizing investments made in the country. Nikhil has spent over 17 years in the Real estate business in India and has developed strong relationships with developers, Government officials and business houses across the country. He has experience in developing business, evaluating investment opportunities, structuring transactions, asset management and monetizing investments for various real estate players. Nikhil holds an MBA degree from International Management Institute (I.M.I) in Marketing and Finance.